The rise of ecommerce has led to greater challenges in managing the placement of inventory in order to avoid lost sales and keep customers satisfied. Blue Ridge Cloud-Native Allocation helps retailers maximize their inventory investment by enabling a smart and simple way to position goods across channels and locations. Determining when and where to position inventory is a complex challenge. Blue Ridge Cloud-Native Allocation simplifies this challenge with a flexible, logic-based approach. Via multiple methods of push allocation, users drive a prioritized allocation of supply from upper echelons to lower echelons. The result is a strategic allocation of inventory that drives profit, sales and customer satisfaction. To get exceptional bottom-line results, you need to precisely align inventory with demand at every location. 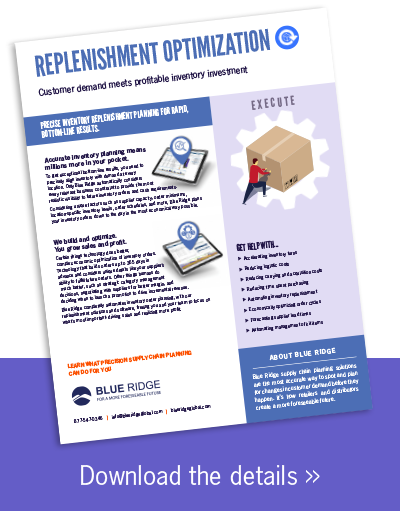 Only Blue Ridge automatically considers every relevant business constraint including supplier capacity, order minimums, location-specific inventory levels, order schedules, and more, to provide the most realistic visibility to future inventory orders and cash requirements. 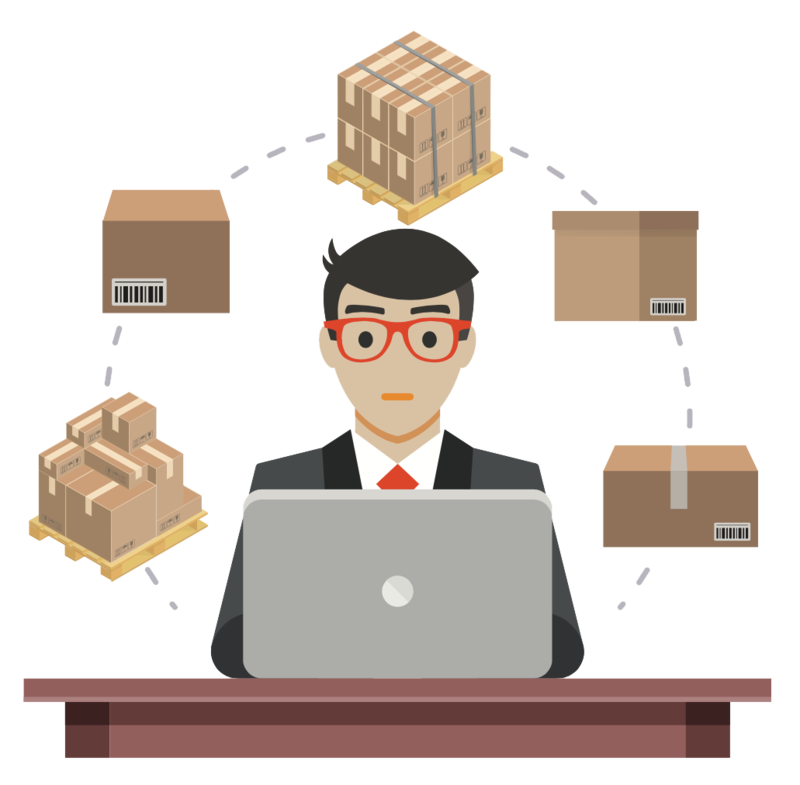 The Blue Ridge cloud-native supply chain solution plans your inventory orders down to the day in the most economical way possible and completely automates inventory order planning freeing you and your team to focus on what’s most important- driving sales and realizing more profit. Determining when and where to position inventory is a complex challenge. 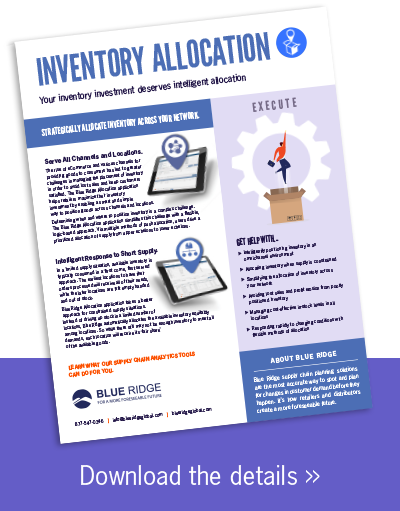 Blue Ridge Allocation simplifies this challenge with a flexible, logic-based approach. Via multiple methods of push allocation, users drive a prioritized allocation of supply from upper echelons to lower echelons. The result is a strategic allocation of inventory that drives profit, sales and customer satisfaction.